Competition starts 30th of January and ends on 16 February, winner will be announced within 24hrs of the ending date. 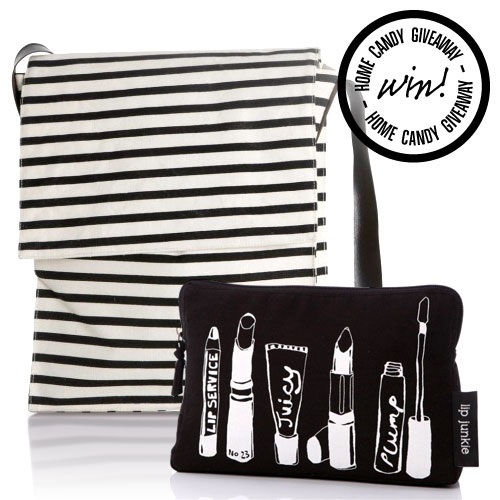 The prize consists of 1 Stripe laptop bag and 1 Lip Junkie Cosmetic bag from Home Candy and will be provided by Home Candy themselves and Beauty And The Prince is not liable for the prize in any way other than holding the competition and announcing the winner . Multiple tweeting is accepted but the entrant(s) must abide by following @lisasbeauties and @home_candy and also Sign up to the Home Candy Mailing list to be accepted into the draw. Entry is open to residents of the UK only due to legal requirements with the postal service and The entrant(s) must be aged 16 or over. Use of multiple accounts from the same person(s) entering will result in disqualification. No responsibility can be accepted for entries lost, delayed or corrupted due to computer error . The prizes are as stated and no cash or other alternatives will be offered. Beauty And The Prince reserves the right to reject entries from entrants not entering into the spirit of the competition. In the event of a prize being unavailable, I reserves the right to offer an alternative prize of equal or greater value. The winner(s) agree(s) to the use of their name(s) to be used when announcing the winner(s) on all social media networks sites that may be used for the competition. The winner(s) will be drawn at random from those who enter by the closing date stated above . Reasonable efforts will be made to contact the winner(s). If the winner(s) cannot be contacted, or are unable to comply with these terms and conditions, I reserves the right to offer the prize to the next eligible entrant drawn at random. Winner(s) must reply with details by direct message on twitter or email of delivery by no longer than 2 weeks after the announcement of them winning. The prize will be sent within 30 days and have to be signed for . The Promoter is Lisa Prince from Beautyandtheprince.weebly.com/ , any queries can be questioned regarding this competition by contacting me on lisa181183@hotmail.com . Competition starts Thursday 22nd of January and ends on 22nd February, winner will be announced within 24hrs of the ending date. 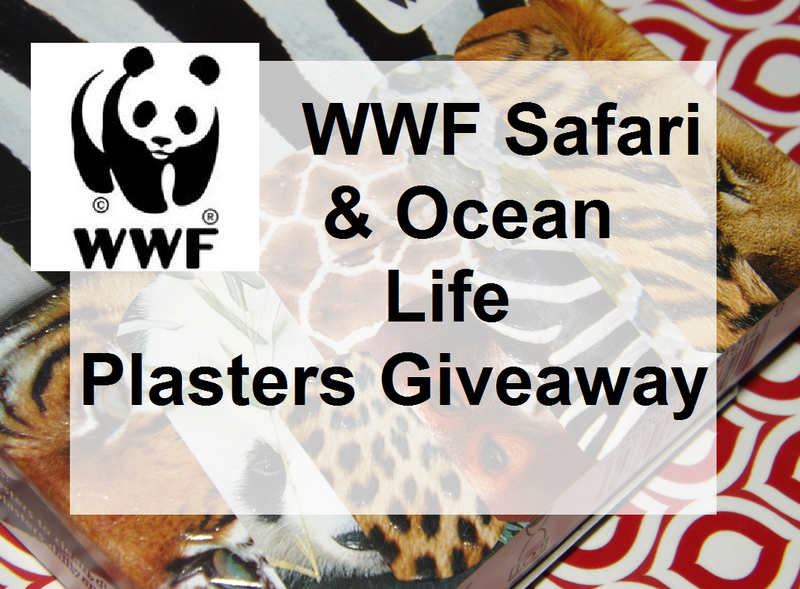 The prize consists of 4 packets of Dermocare plasters which consist of 2 Safari Packs of 18 in each and 2 packs of Ocean Life Plasters of 18 in each . Beauty And The Prince reserve the right to reject entries from entrants not entering into the spirit of the competition. The winner(s) will be drawn at random from those who RT and follow by the closing date stated above .